Add a touch of luxury to any living space's décor thanks in part to the Mirrored Circular Coffee Table. With its mirrored edge details and silver steel X base, the coffee table makes a distinct statement in a modern or traditional living space. It also includes a circular top that offers plenty of space. 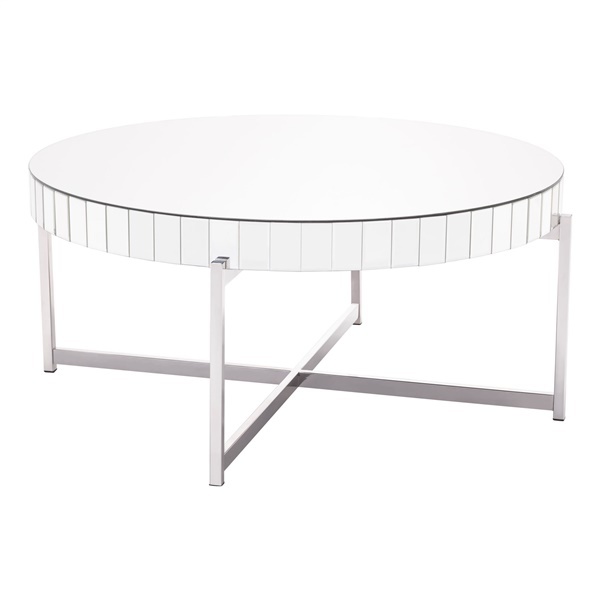 Enjoy a top-of-the-line coffee table that is both bold and beautiful by choosing the Mirrored Circular Coffee Table.